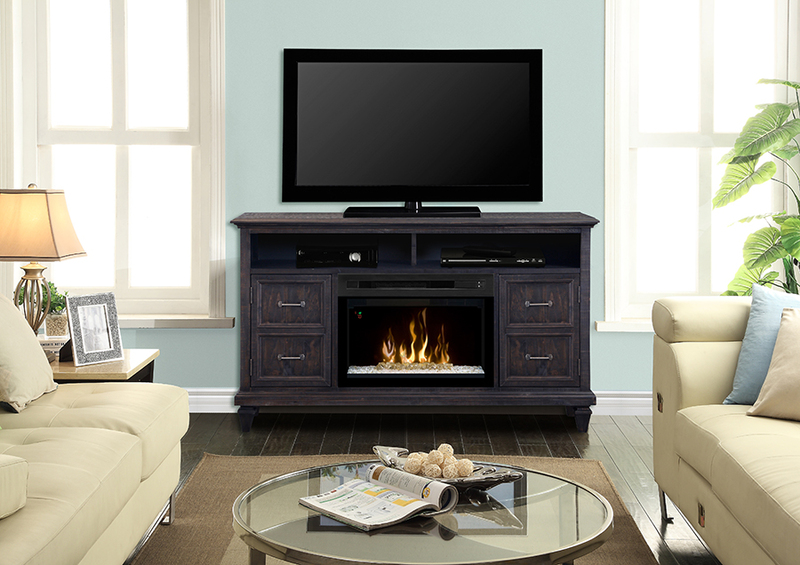 This media console has graceful curves and soft details that are highlighted by pine solids and brushed pewter hardware. It features double faux drawers that open to two compartments with adjustable shelves. The weathered grey of this piece is gracefully distressed which contrasts beautifully with the dazzling effect of its 25″ Multi-Fire XD® firebox.